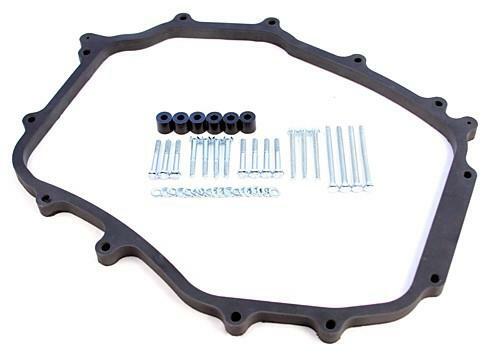 BLOX Intake Manifold Spacer - Lightning Motorsports - Selling Speed since 1996 ! The BLOX Racing intake manifold spacer for the Nissan VQ35 is specifically designed to help increase the manifold’s capacity and lower the intake air temperature. As a result of the improved efficiency, power and throttle response is also increased. The manifold spacer is made out of thermal polymer, which provides dramatic heat insulating properties, and easily installs between the factory’s intake manifold. The BLOX Racing plenum spacer is available in three different thicknesses, in order to provide the best fitment and power potential. Note: Some upper strut tower bars may not have enough clearance after installation.